“Please don’t look at my website,” said no B&B owner, ever. But if you take a stroll through the garden of delights found by searching on B&B’s, you wouldn’t think that was the case. Some look like they were built by the neighbor’s child back in the 1990’s, while others have been updated, but have only made it to the 2005 era. But looking around you will find that there appears to be a correlation between the most successful properties and the professionalism and quality of their websites. Hmmm. Could it be a trend? What makes a website effective? And why is an effective website important (do you really have to ask?)? What should you consider when deciding on hosting and building a new website? To some extent this discussion is prompted by the announcement from BBOnline, discussed in detail in the recent blog post from our friends at Acorn Internet Services, that BBOnline will stop supporting hosted websites May 1. Apparently the sites will remain active, but they can no longer be updated(!). Clearly some people will need to find a new home for their websites! 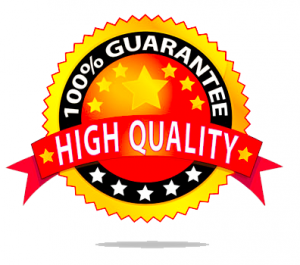 How High Quality Should Your Website Be? Before embarking on a discussion of the considerations when choosing a new host and design for a website, let’s briefly consider quality (and yes, that usually means expense). Think about this: how many of your guests tell you they found you online? At least 90%, right? OK, now of those 90+% of your guests, how many say something like, “Nope, I never saw your website.”? None, right? Of course – they all saw your website. When looking into building a new website people tend to start with the design, checking out design firms and their prices and their portfolio of clients, then consider hosting issues. That’s a sensible approach, but for simplicity’s sake, we’ll look at hosting options first, just to get that out of the way. The third option, a B&B Directory, is exactly where the current issue began – with BBOnline ending support for this. And this is the problem – if your hosting company stops hosting, your website goes with it. Let’s rule that out, except for those who really are looking for a way to keep these costs to a minimum, and have a good reason to do so. The first option usually means that the B&B wants to find a discount hosting company, because they’ve seen ads for cheap hosting. Examples would be GoDaddy, Bluehost, and others. While hosting companies like these can be a good option in some cases, be aware that you usually get what you pay for. In other words, there may be drawbacks when compared to higher priced, and higher quality hosting. Hosting with your web design firm can be a good option. However, be sure that if you should change design firms, there will be no problem in moving all your content to the new company. Also check who their hosting company is – they usually are a reseller for a larger outfit. That way you can check the reputation of that company, too. There are a lot of advantages to a professional, templated, system. This refers to a system where a professional design firm uses a templating engine (like WordPress, Drupal, Joomla, or others), to combine professional design with ease of changing the content. This allows the B&B owner (or staff) to update information on the website, without affecting the beautiful professional design, and usually without having to pay someone to make the updates. The third option is usually the most expensive, but can often reward the property with excellent ROI. Sometimes custom sites are built on a templated system, allowing the B&B to manage simple updates. Other times it is not accessible to the innkeeper, so there can be additional costs for updates. Along with these considerations, is the consideration of potentially moving your site to another web design firm or hosting company in the future. Make sure that whoever is hosting your site will allow you to move the site if you ever change companies. If the site is built with traditional HTML pages, it can usually be moved easily. If the site is built with common templating software (such as WordPress, Drupal, Joomla, and others) it can usually (but not always) be moved easily, but the new company will have to use the same platform. If the site is built on proprietary tempates (for example, Buuteeq is built this way), it is much more difficult to move the site, though we’ve been told it can be done. Since the website has become so vitally important, it isn’t enough just to build a new website that is attractive. There are a number of other considerations that, generally speaking, fall in the area of marketing. First of all, there is Search Engine Optimization (SEO). In a sense SEO experts have become the modern snake oil salesmen. Everyone claims to be an expert, but can’t prove a thing. Still, there is clear evidence that certain things will help a website to show up better in search results for particular search terms. Similarly, there is another list of things that can help you show up better in local search results, or in map searches, or mobile searches. Don’t just take someone’s word for it that they will “do” SEO on your site. Find out what they’ll do, and how you’ll know if it is working. Make sure, also, that if you change content on the site, you won’t be interfering with any content that was specifically created to have SEO value. Oh, and the flip side of search optimization is tracking the results. This is commonly done in Google Analytics, but sometimes in other, similar, analytics software. How will your site track its results? Another marketing area is pay-per-click advertising (PPC). Experts differ in their view of PPC value, but all will acknowledge that a well-managed PPC campaign can bring in far more business than its cost – which translates to a favorable return on investment for the inn. Some web design or online marketing firms will manage these campaigns for you, either individually, or as part of a larger marketing package. Closely related are considerations of devices other than a desktop or laptop computer. Gone are the days when people speculated that there might be people searching for lodging on their phone. Mobile and tablet users are a significant share of the visitors to every website. A new site needs to address this in a way that will make it appeal to the visitor. Current recommendations from Google are that sites should be responsive. A responsive site automatically adjusts to the size of the device it is being viewed on, and presents the same content to every user. An alternative is to use a complete duplicate site, set up to work properly on mobile devices. This is much more work (and expense), and also must usually be maintained separately. Marketing packages can include other types of advertising, as well. This can be anything from managing a social media presence to blogging, to recommending directory listings that are appropriate for your property, to other areas that may help bring in niche business. Building a new website is more than just an attractive design. It is also making sure that website will be found, whether potential guests are searching from a computer, tablet or phone, looking at directories or reviews, reading social media or blogs, or just looking for lodging possibilities. A website has become the primary source of information about your property. Make sure it is working its hardest for you to make your property attractive to the potential guest. High Direct Traffic Numbers: What is causing it? It’s funny how you don’t often think about your website until something happens. Thank you Scott for the insights. Yes, that’s quite true, Tammy! However, when you step back, and look at your marketing, and where the website fits in, it is the key to it all. That makes it critically important that you consider it more than just a “decent site.” It needs to be the “star of the show”.